Another interesting essay from The Vice Blog. Everyone hates the kind of people, the kind of snobs, that drink wine and then feel the need to spend hours and hours pontificating about it. It�s why I created this blog � I was sick of how the �everyman� vocation of beer drinking had become overtaken by pretentious little tipplers. It must have reached a breaking point for me when I was reading one such beer blog. The author noted in a review that he�d actually drank a beer in his living room while watching TV as opposed to how he usually sampled a brew � by shutting himself in a dimly lit �study� alone, with no outside noises or distractions, and then quietly and contemplatively enjoying the drink. He was downright ashamed and apologetic that he had actually drank a beer in a comfortable environment, lounging on his sofa with his feet kicked up while watching the game. The�19th Sunshine Challenge is the premier home brewing�competition and home brewers’ convention in the eastern United States.�For more details, visit the CFHBwebsite and make arrangements to attend. 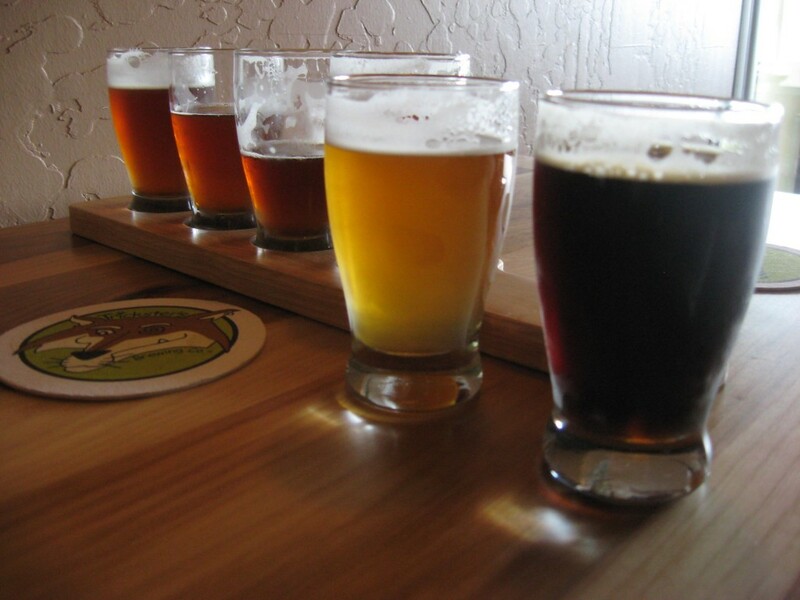 Enjoy THE BEST BEER BREWED in Florida…meet the Florida Brewers Guild members and brewers. Also, meet�Bob Hansen of�Briess�this year’s Guest of Honor.��Food will be served from 7:30 – 9:00pm only and is included in�theticket price. This has been a favorite of out of town participants, a chance to visit some of Orlando’s pubs. This is one pub crawl you don’t want to miss! This fantastic evening features a�plate dinner, including beer�sponsored by Florida Micro Beverage Distributor. The following is from another beer site; an amusing tale that examines a rather exotic (for most tasters) style: Gueze. Hard to get in many parts of the country. Wiki entry blurb and link follows. A special cross post here at Professor Good Ale’s page by the author from the LTS columnist section due to content. How do they get this much grain into one bottle? This ale, weighing in at 9%, is thick, chewy: a champagne-sized Grolsch-style bottle filled with liquid luxury. Normally I would type that it’s extract-y, but the complex malt mix of pale, many darker malts and a lot of dextrinous malts are so velvet upon the palette it is irresistible for those of us who desire a 2 by 4 malt weight upon the tongue. The hops, though present, get a bit lost in all this malt, but the beverage doesn’t suffer. And it’s not malt-bitter in the way that such multi-grain concoctions can be. Debittered dark malts? The advertising on the bottle, and some reviews, push the hops a bit too much, in my opinion. Not that they’re absent by any means, just not quite the “explosive finish” as some claim; especially for those of us who are also fans of over 100 IBU Imperial IPAs. Just enough to balance off the darker, sweeter, malt notes. So what exactly do would I call this style? Even the brewery claims it’s a Russian Imperial, but I don’t get any sense of roasted, unmalted, barley. The usual, at least slight, astringent notes are absent and, to be honest, it’s just too complex even for Imperial Stout. I think they went so far with this in the “smooth” category they went beyond Imperial Stout. Perhaps a bit more of a spin off of Baltic Porter, sans lager yeast? Whatever it really is, it’s delicious.